Ten original tracks over 70 minutes of rock music filled and powered with Progressive, Acoustic, Metal and Symphonic ingredients. This is SKYLINE, the 4th release from BAROCK PROJECT, the Italian band that have built an international fan base over the years combining the Italian melodic progressive unique sound with English lyrics that opened a whole new dimension to their music. Three years of intensive composition and preparation by Barock Project’s mastermind, Luca Zabbini, led to a sharp turn in the music style and arrangements. SKYLINE is, in the words of Zabbini, “a much more direct approach, unloaded of excessive virtuosity, to music with a more melodic structure, yet periodically touching those buttons that appeal to prog lovers”. Many influences are captured among the notes of each track, yet ONE very distinctive original touch, a contribution of each of the four band members (two of them are new). In the mind of both band and management, Skyline aims to run for best album of 2015 in its league, thanks to its artistic contents and world class feature appearances. (Vittorio De Scalzi of New Trolls vocals & flute on title track and Paul Whitehead as album cover artist). The band will start promotional media tour right away and live concerts after summer 2015. The Barock Project idea generates from a desire to deliver the finest and perfect structure of classical music (mainly baroque music) with a rock-style and a little bit of jazz harmony, supported by a pop framework with the intention to revamp the appeal of ’70s progressive-rock. The project founder, pianist and composer Luca Zabbini, states that his passion for the music of famous keyboardist Keith Emerson (ELP), has fuelled his desire to compose and play a full range of styles, from classical to rock and jazz. 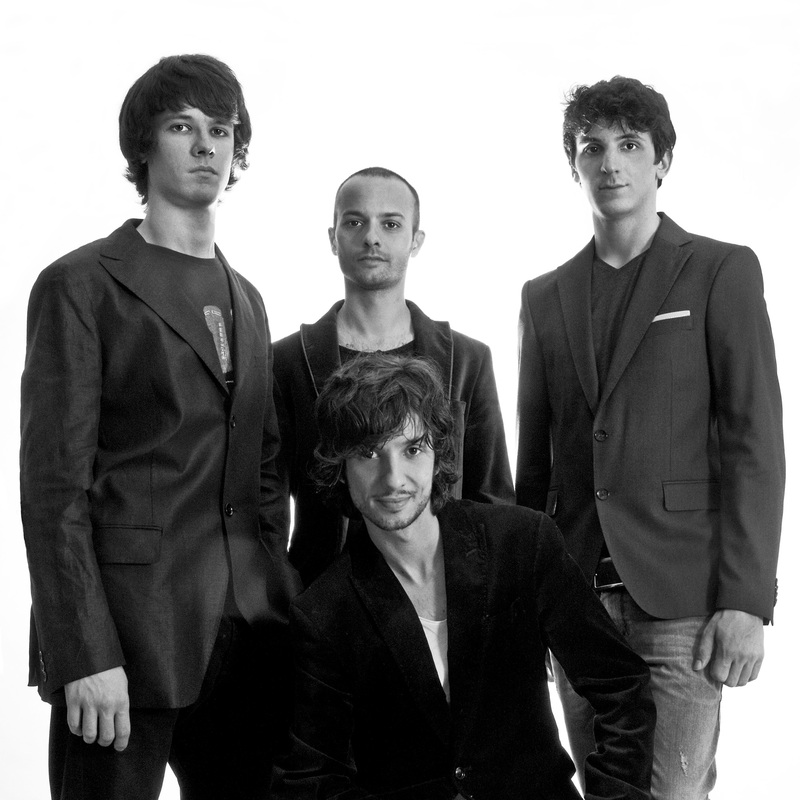 In the summer of 2004, Giambattista”GB” Giorgi, a young bassist influenced by rock sounds with big passion for jazz, and drummer Giacomo Calabria joined the band. After a long European tour with “Children of the Damned” and Iron Maiden’s singer Paul Di’Anno, Luca Pancaldi joins the band as lead vocals in 2002. In January 2007 the band performs live in Bologna (Italy) with a string quartet. All arrangements are written by Luca Zabbini and they release the performance as a DVD called “Rock in Theater”. In the summer of 2009 the band releases the second album “Rebus” with the Italian label Mellow Records, again with very good reviews from all over the world. In March 2012, published by French label Musea Records, the band releases the third album “Coffee In Neukölln”, with all lyrics in English. In the summer 2014 the band welcomes on board two new members, Eric Ombelli (drums) and Marco Mazzuoccolo (guitar) and begins recording sessions for their 4th and most complex album. Towards the end of 2014 bass player Giambattista Giorgi leaves the project leaving Luca Zabbini to play and re-record the bass lines on the forthcoming album. January 2015, Barock Project sign a management contract with Stars of Italy and immediately after announce their 4th album, Skyline. Luca Zabbini (keyboards – bass – backing vocals) was born on 26 March 1984 in S.Giovanni in Persiceto, near Bologna, and lives in Crevalcore. His father Onelio is a flautist and saxophonist and his grandfather and uncle were both professional musicians. Therefore, Luca was surrounded by music from his early days, listening to his father and grandfather while composing. In 1990 Luca took his first piano lessons and the first steps in improvisation, listening to jazz and rock from father’s vinyl. One of those recordings was by Emerson, Lake and Palmer. Luca was soon fascinated by ELP music and started playing Keith Emerson’s parts on the keyboard. In 1995 he had his first band called Fattore Comune, a disco-funky cover band. In 1996 Luca founded the K2 band, with bassist Giambattista Giorgi (GB ) and guitarist Luca Comellini. This band played progressive rock covers such as ELP’s cover Tarkus, Pictures At An Exhibition, Hoedown, etc. In 1997 Luca joined the “O.Vecchi” Musical Institute as pianist and composer. Luca has written a great amount of compositions, from jazz to rock and classical, like Guadiana (a suite for two pianos and two cellos) and soon he will finish writing a concerto for piano and orchestra. In 2004 he became the keyboardist of Jesus Christ Superstar musical’s company in several theatres. His favourite classic composers are B.Bartòk, S.Prokofev , S.Rachmaninoff , A.Ginastera but mainly J.S.Bach and in 2006 he composed a concert for piano and orchestra. Luca Pancaldi (lead vocal) was born on December 20th 1981 in Bologna. At the age of 13 he started playing bass because of his love for rock and heavy metal. He sang and played bass in several bands since 1996 and in 1999 joined Icon of Hyemes (a metal band), who published 2 mini cds and played concerts around Italy and other countries. Since 2001 he has been the singer in Children of the Damned (Iron Maiden’s Tribute Band) and in 2002 this band became Paul D’Ianno’s band (first historical Iron Maiden’s singer). Paul D’Ianno and C.O.T.D. toured intensively all over Europe and he gained experience as a frontman. In 2005 he joined Barock Project as lead singer, leaving his backing vocals job at Paul D’Ianno and C.O.T.D. Eric Ombelli (drums) was born on 15th May 1989 in Modena. Aged 8 he started playing guitar under several teachers and continued after to be self-taught. After ten years he decided to study drums, the instrument he loved as a kid. Under the guidance of Diego Crivellaro in 2007 and since 2011 with Paolo Caridi at Modern Music Institute in Modena, he practices rock style and especially progressive rock. His roots are in classic rock bands like The Who , Led Zeppelin and Deep Purple , although he likes to play in several styles, from funky to Latin and metal. Eric has been the drummer of Barock Project since February 2012. Marco Mazzuoccolo (guitar) was born on 14th September 1989 in Carpi, near Modena. In 2003, he fell in love with music after hearing Smoke on the Water riff played by his uncle. At the beginning he was self-taught and concentrated mainly on the technical side of the instrument. In 2006 he began attending guitar lessons with Khaled Abbas, who gave rise to his interest in harmony and improvised music. In the summer of 2008, he won a contest called “Bande Sonore” with a Prog-Metal cover band. In the autumn of the same year, he enrolled in a Jazz course, at the G. Frescobaldi Conservatory in Ferrara, and at Modern Music Institute. In February 2011 he got the Master qualification at Modern Music Institute with excellent marks, and in September of the same year he joined the teaching staff of the same school. He has been the guitarist of Barock Project since February 2012. The Barock Project music show perfectly suits theatre style venues and festivals.